Convenient acne treatment pads utilise antibacterial, exfoliating and healing ingredients to thoroughly cleanse skin of dirt, oils and acne-causing bacteria. 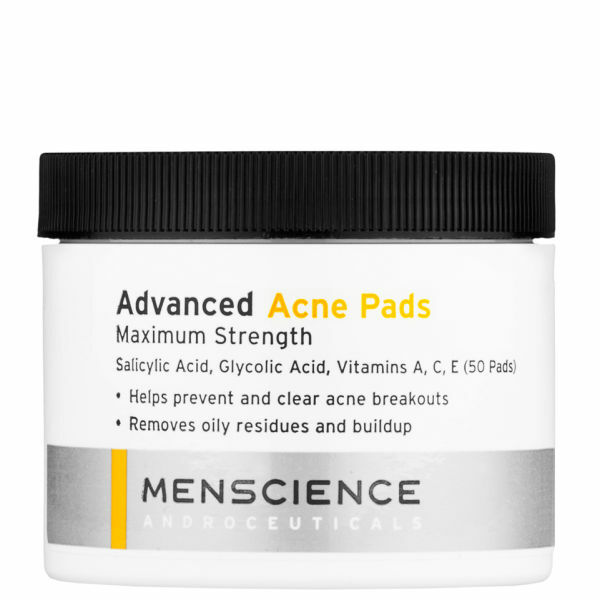 Formulated with prescription-grade, maximum strength 2% concentration of Salicylic Acid, these pads completely clear and prevent breakouts and blackheads. This unique formula also contains Glycolic Acid, Tea Tree Extract and Witch Hazel to remove oily residues and build up, and maintain a clear, acne-free complexion. Alcohol-free, fast-absorbing application is perfect for all skin types. On opening the tub the pads are a little underwhelming in size but turn out to be sufficient to clean your entire face and neck. Not only is this product 'maximum strength' (as it says on the tub) but the pads themselves have a definite exfoliating action and feel slightly rough as you pass across your skin. However, they are very effective at removing excess oil and keeping skin clear. Excellent if you have oily or very oily skin - use with caution or stay away if you have sensitive skin.